Gallery » Photography » How Biscuit Goes Outside! 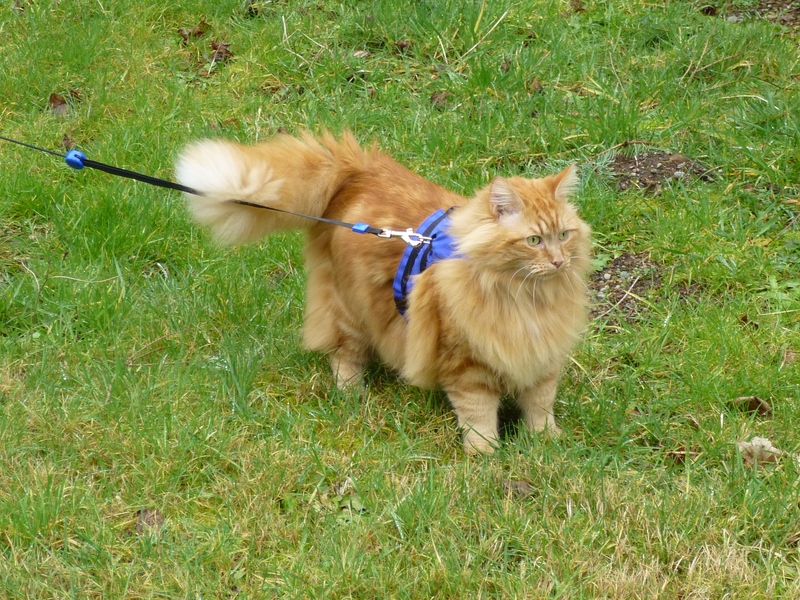 From listener Shirley Halverson: "It's not a "catio" picture, but this is the only way "Biscuit" gets to be outside, wearing his "walking jacket". He loves it, and I've noticed a lot of birds nesting in our yard now."